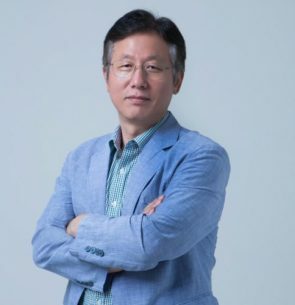 Dae Jin (Derik) Kim is the founder and president of Global Entrepreneurs Foundation (“GEF”) and also a co-founder and partner of HSR ANGEL LLC (“HSR”) located in Korea, which has done angel investment and company build-up. GEF is the firstly registered non-profit accelerator in Korea as well as an officially-approved foundation by Korean government. It runs an accelerator named HSR EPICENTER I, II & III since 2016, June. Before GEF, Mr. Kim was serial entrepreneur to found five start-ups, three of which were established in Korea, and two in the USA. Also he has served as CEO and Executive officer of several companies in Korea and USA, including EVP of Talon-International, Inc. During his career, he has worked as International sales man and global marketing specialist for 14 years, besides his entrepreneurship experience. Nowadays he concentrates on making GEF the Gateway between Korea, Asia and Global start-ups ecosystem and working a partner of Entrepreneurs Without Borders based in Sweden and Faster Capital in UAE. He is also speaker, mentor and juror at international conferences including Startup Ole in Spain, Startupbootcamp Energy in Australia, India-Korea Business Summit and China-Korea Investment Forum, Asian Leadership Conference etc.